Let me congratulate our rider Robert Kiserlovski. We happy to see you in our team. 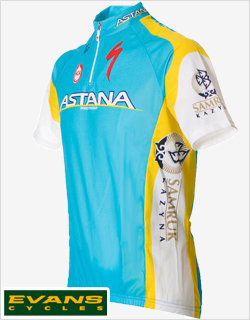 Most of us were happy with your past success before your joining to Astana, and all of us looking forward to your future success with us. Wish you enough power and good luck for realizing all your goals. Wish you all the best. Happy Birthday!!! Do it on Vuelta, Robert! Happy birthday! S dnem rojdenii Robert !! !